Team Sky has confirmed that it will become Team INEOS from the first of May. The company will continue to fund the current team in full, honouring all existing commitments to riders, staff and partners. INEOS is a company from the United Kingdom and is one of the world's largest manufacturers of chemicals and oil products. 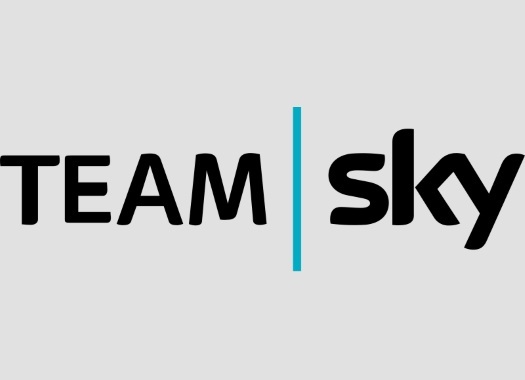 Sky and 21st Century Fox have come to an agreement for the sale of the team to the company and it will be launched at the Tour de Yorkshire, which starts in Doncaster on the second of May. "Cycling is a great endurance and tactical sport that is gaining ever more popularity around the world," said Sir Jim Ratcliffe, Chairman and Chief Executive of INEOS. "Equally, cycling continues to mushroom for the general public as it is seen to be good for fitness and health, together with easing congestion and pollution in city environments. INEOS is delighted to take on the responsibility of running such a professional team." Jeremy Darroch, Sky Group CEO, said: "We are pleased that the team’s future has been secured under new ownership. This brings to a close Sky’s decade-long involvement with cycling, which has created unprecedented success and inspired millions of more people to cycle regularly. I’d like to thank all members of Team Sky, past and present, for their contribution to our journey together. We wish the team and INEOS all the best for the future and look forward to watching the next chapter in the story." Sir Dave Brailsford, Team Principal, welcomed the news. "Today’s announcement is great news for the team, for cycling fans, and for the sport more widely," he commented. "It ends the uncertainty around the team and the speed with which it has happened represents a huge vote of confidence in our future. "In Sir Jim Ratcliffe and INEOS, I know that we have found the right partner whose vision, passion and pioneering spirit can lead us to even greater success on and off the bike. It heralds the start of a hugely exciting new chapter for us all as Team INEOS. I would like to personally thank Jeremy Darroch, who over a decade ago had the vision to back us when others thought we were crazy. His support for the team through thick and thin has been remarkable and everyone at Team Sky thanks him for all he has done for our sport."